If you love trekking, and adventure runs through your veins the hills in Uttaranchal are perfect destinations for you. Fabulous surroundings, swift rivers and pollution free environment will rejuvenate your lost vigour and vitality here. We take you through the fantastic mountain ranges of Rishikesh and Nandprayag, and Augustmuni that are also Hindu-pilgrimages. That will definitely add some karma in your tour. The treks are simple irresistibly challenging. They will shake your inner soul and make you altogether a new human being. Morning city tour of Delhi. Afternoon leave for Rishikesh 230 kms/6 hrs. On arrival transfer to hotel. Overnight hotel in Rishikesh. 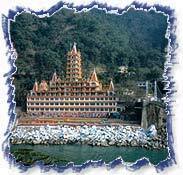 Full day sightseeing visiting different temples & ashrams overnight hotel in Rishikesh. Today drive to Pipelkoti Beautiful drive, as we drive through Forests & beautiful scenery. Arrive Pipelkoti & camp for overnight. A beautiful camp site. Leave early morning towards Govindghat from here our there days trek starts, after trekking for about 13 kms. we camp at Gangria. Today trek to valley of flowers, a 4 kms trek passes through dense forests and then open meadow. Arrive valley of Flowers and after lunch you will be given time to explore before we trek back to Gangria. 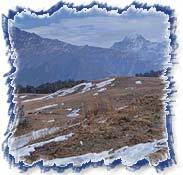 Retrace the route - Arrive Joshimath & stay in Hotel for overnight . Drive to Augustmuni via Rudraprayag and camp for overnight. Drive to Rishikesh and transfer to Hotel overnight stay.